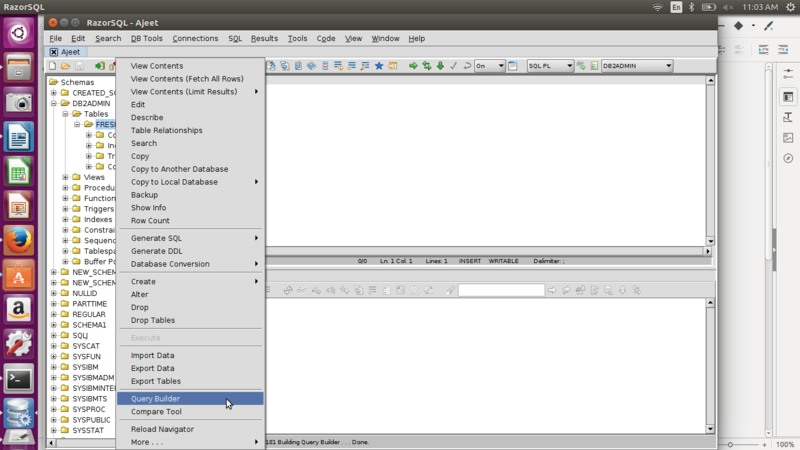 Open RazorSQL and then connect to the database. Now right click on the selected table. You will see query builder. 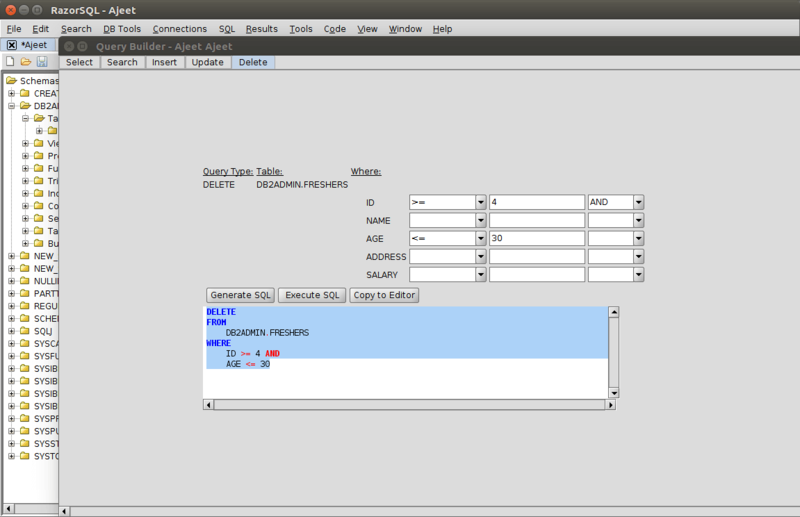 QueryBuilder can be used to SELECT, SEARCH, INSERT, UPDATE and DELETE purpose. 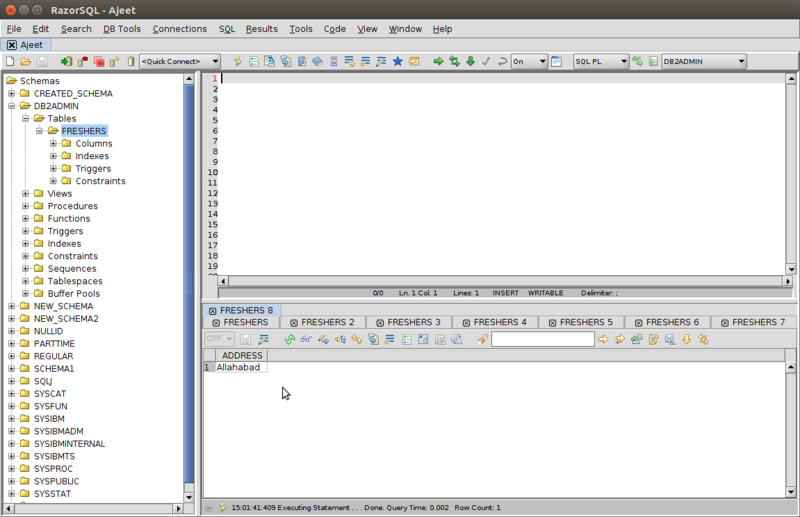 You can use it for the above all operation to build query and execute it. 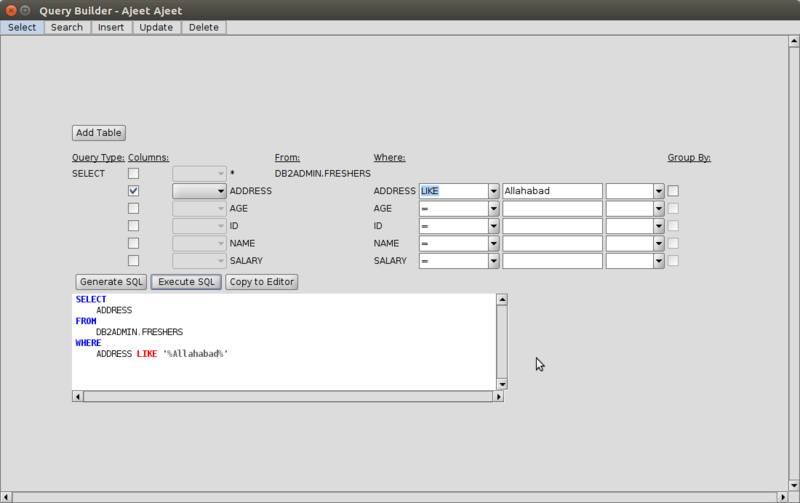 The SELECT option facilitates you to use all SELECT queries. For example: You can use SELECT * for retrieving all records from the table as well as SELECT individual columns for retrieving individual records. Click on the SELECT * option to retrieve all records from the table. 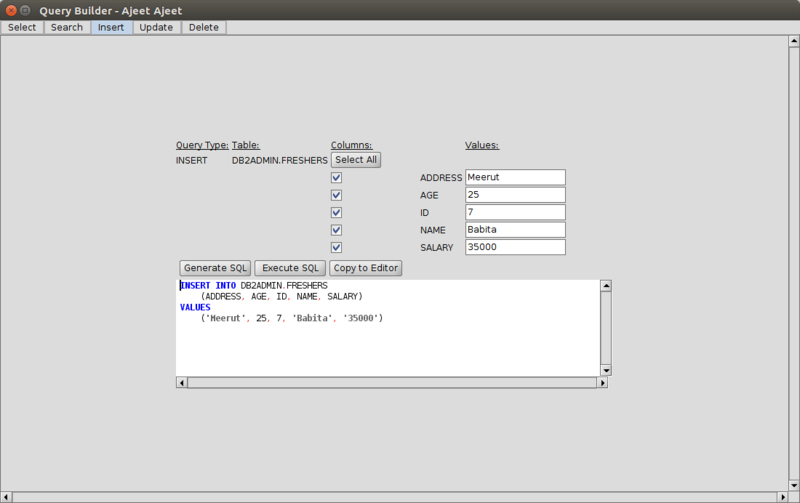 Now click on the generate SQL, you will see the generated query. 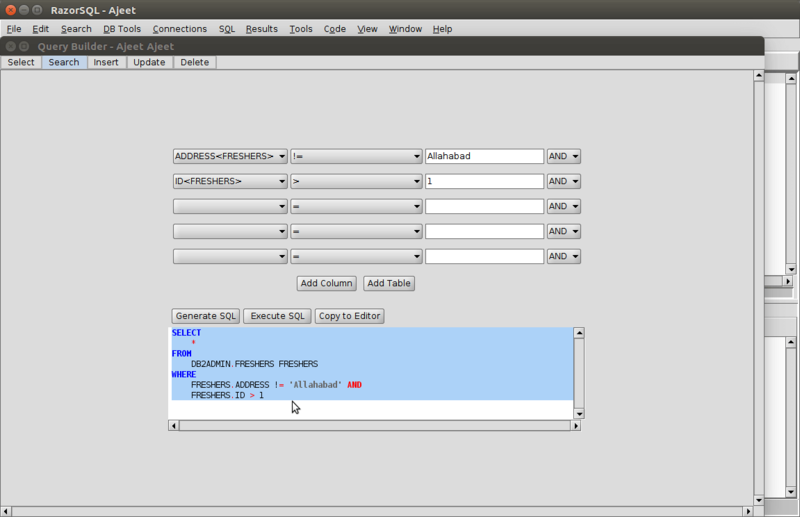 Click on the Execute SQL button. 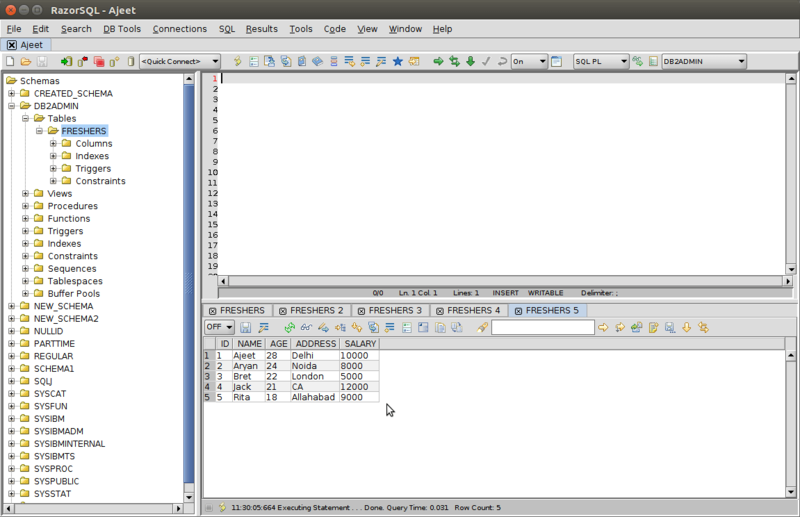 See the result on RazorSQL main page. You can use WHERE and GROUP BY clauses with SELECT Query. Conditions like <, >, <=, >=, =, <>, LIKE, NOT LIKE can also be used. 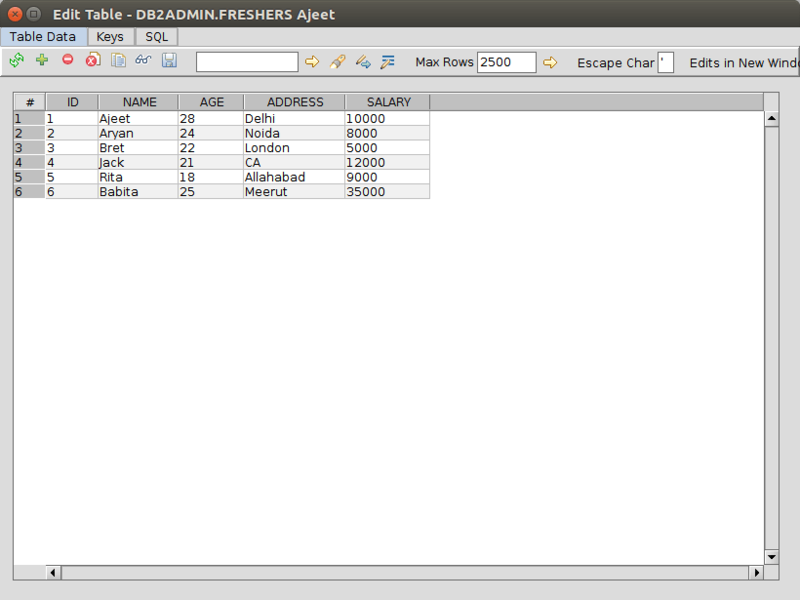 Let's select address from the table "Freshers" Where address is LIKE "Allahabad". In the same way you can retrieve individual records. 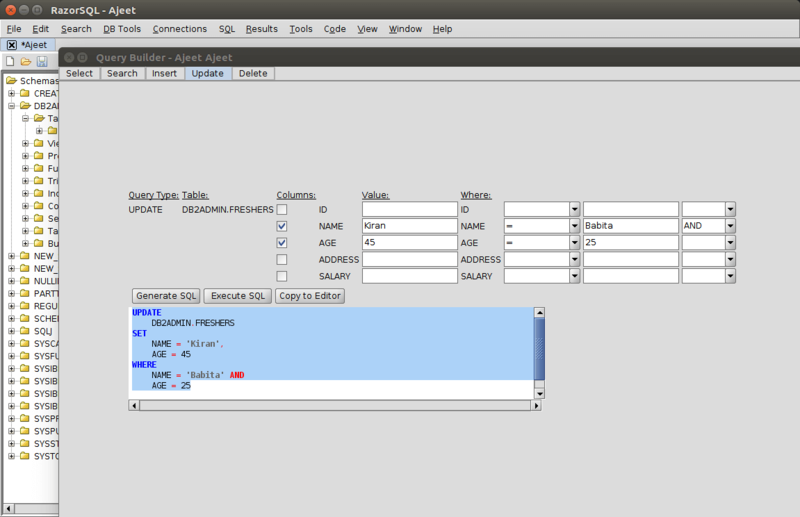 The next option of the Query Builder is search query. You can retrieve records from the table "Fresher" by using this query method. Let's retrieve records from the table "Freshers" Where address != Allahabad and ID is greater than 1. You can insert a single record as well as a complete row in the table by using INSERT block. Let's insert the following record as a new row. 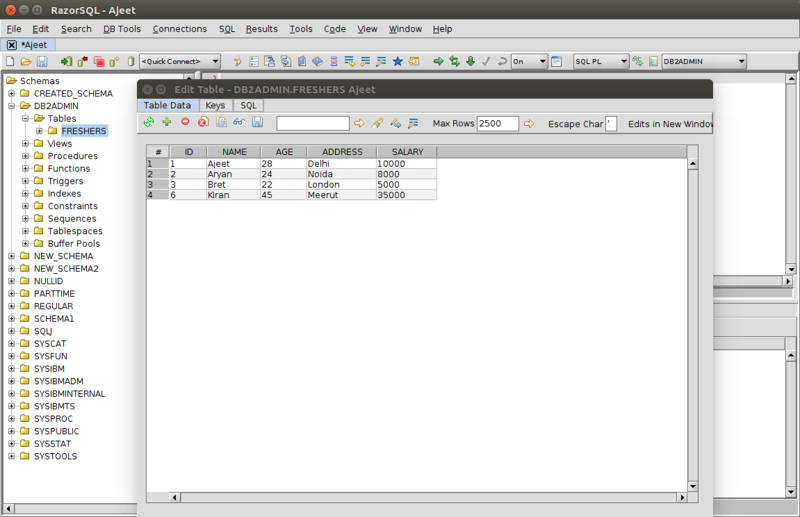 Update block is used to update the already inserted records in the table. Let's update the table where name is "Babita" and "Age" is 25 to name "Kiran" and age 45. DELETE block is used to delete a specified record. Let's delete the records from the table "Freshers" where id >= 4 AND age <= 30. You can see that only id < 4 is remained in the table now.